My name is Herb and I'm here to teach you a little bit about herbs. On my site you'll find some herbals tips, book tips and information about herbal safety. If you are looking for information about various herbs click here for a list of over 120 different herbs. Do you want to learn more about different herbs? Here is a list of books that I recommend. Did you know that you can make soap, candles and lotion with your herbs? Never take any herb identity for granted. The best way to be sure that you are using the right kind of herb is by buying it. Amazon.com offers a great variety of herbals books and more. An herb is a plant, or a plant part that is used for making medicine. It can also be used in food for flavoring. There are two kinds of herbs; annuals and perennials. Perennial herbs comes back year after year while annual herbs last only for the year that you plant it. Don't forget to take your perennial plants indoors when cold weather arrives! It is very easy to grow herbs. Just because you live in an apartment and you don't have a garden it doesn't mean that you can't grow herbs. If you don't have a garden you can always grow it on your terrace, balcony or even inside in you window. Most herbs like to be in the sun. You should make sure that your herbs get at least 6 hours of sun a day. Growing your own herbs can save you a lot of money. 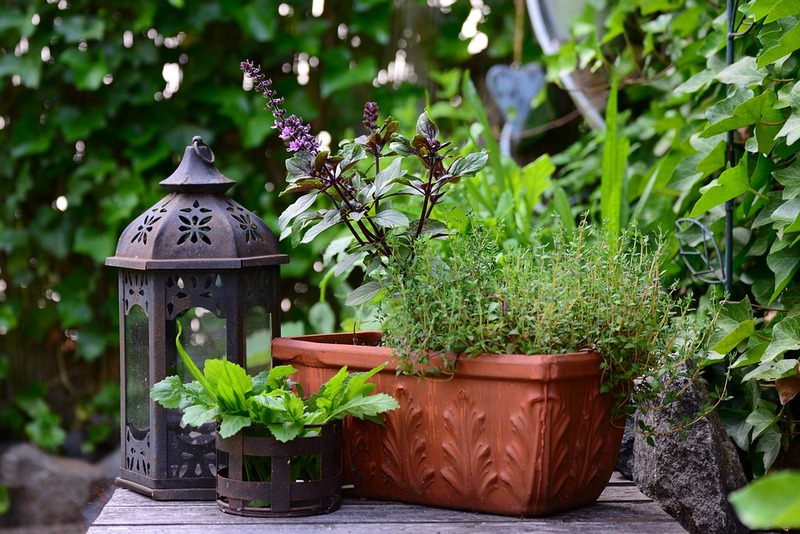 The best time to plant your herbs is spring. If you decide to buy a plant it's important to pick healthy, viable specimens. Look for smaller plants that have promising features like thick stems and dark green leaves. Make sure that there are no yellowed or shriveled growth, and no egg clusters on the undersides of the leaves. When it's time for harvesting make sure that you choose the healthiest plants. Most herbs taste best if you harvest them before the plant flowers. Please note that this website is for educational purposes only and not intended to be used as a self-medication guide. It is not meant to diagnose, prescribe, or to administer to any physical ailments. If you have any concerns related to your health please consult with a qualified medical practitioner. All information is taken from various reference books and is to the best of our knowledge correct. We can not be held responsible for your use or misuse of any herbs. The FDA has not evaluated any statements made within HerbsHerbals.com. © Copyright 1997- HerbsHerbals.comsmAll rights reserved.